Come live the good life in guard gated Alaqua Country Club! This expansive resort-style home custom Dave Brewer Home boasts sprawling single story living with all rooms downstairs except an in-law suite and media room with bar and bonus room upstairs. 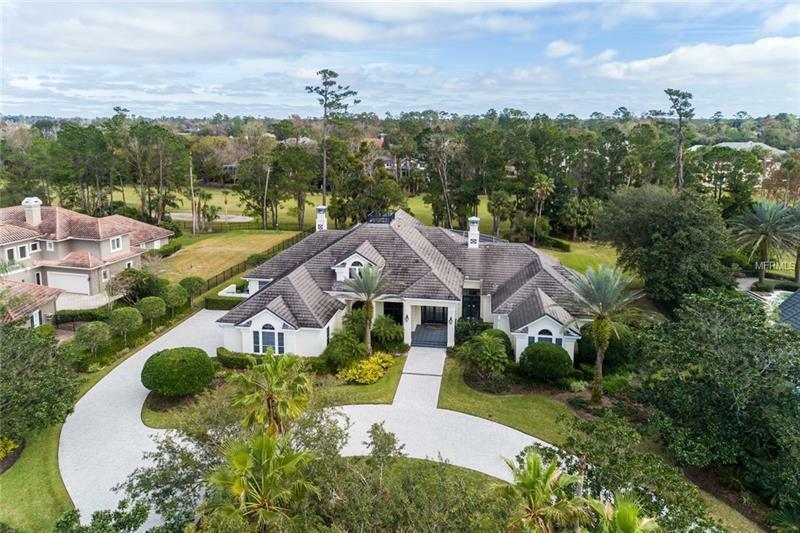 Luxury lifestyle awaits you as you enter the spacious foyer and step down into the elegant formal living & dining areas with coffered ceilings, fireplace, French doors and soaring ceilings. A study with courtyard access and an elegant ownerâs retreat on one wing of the main level will wow even the most discriminating buyer, with a cafe area leading to two huge walk in closets, including a washer & dryer and built-in safe in "her" closet. The master bath boasts two separate commodes and showers and dual sinks. Continue through the master bath to the light and bright exercise room with mirrored walls and high ceilings. The heart of the home includes three en-suite bedrooms, a recently renovated gourmet kitchen with prep island, breakfast bar, stainless appliances, warming drawer, gas range. The oversized family room with wood burning fireplace and French doors leading to pool also includes a step down wet bar with granite counters, ice maker, wine refrigerator and pass through window to the second outside lanai bar and gorgeous pool and spa. Also downstairs is a huge laundry room and 4 car garage with workshop. Upstairs includes a media room with bar & bonus room and spacious in-law suite with high ceilings, a cafe area, full bath & walk-in closet.